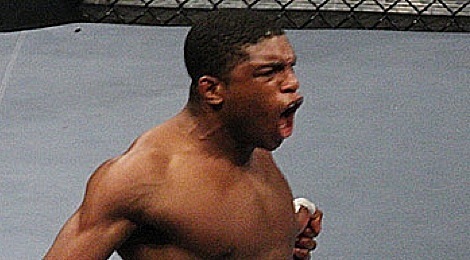 With his win over Rashad Evans at UFC 145, UFC light heavyweight champion Jon Jones maintains his stranglehold on the top spot at 205 pounds. 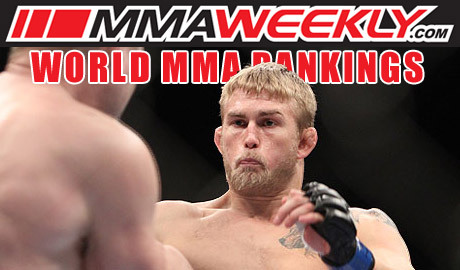 With his latest victory Alexander Gustafsson edges up the light heavyweight rankings. 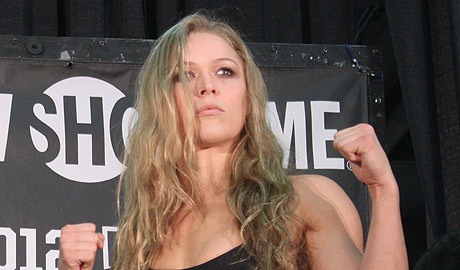 The next time Ronda Rousey defends her Strikeforce bantamweight title, she may have developed a new way to mean mug her opponent. Ronda Rousey still has plenty of challenges to face including Sarah Kaufman, former champion Cris Cyborg, and fellow Olympian Sara McMann. 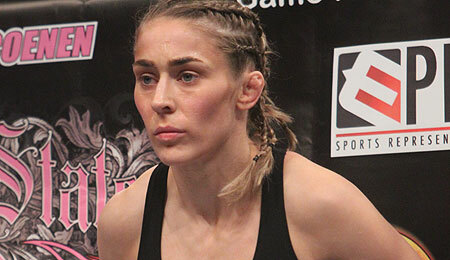 Former Strikeforce women's bantamweight titleholder Sarah Kaufman plans to return the belt to Canada when she faces champion Ronda Rousey later this year. 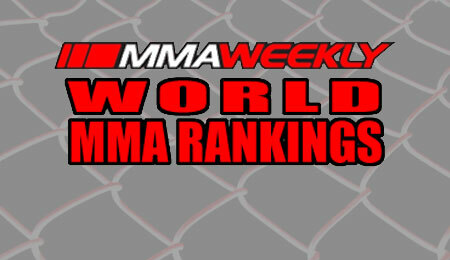 The latest MMAWeekly.com World MMA Rankings are out, including the debut of the Flyweights! Sarah Kaufman is making no secret after her hard fought win over Alexis Davis...she wants a title shot, plain and simple. Ronda Rousey is who she is and she's not going to apologize for anything she's said leading into her title fight this weekend in Ohio. Alexis Davis talks to MMAWeekly.com about her upcoming fight with Sarah Kaufman, her thoughts on Ronda Rousey, and much more. 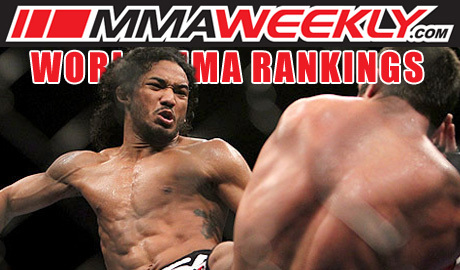 The latest MMAWeekly.com World MMA Rankings are out and Benson Henderson has taken over the top spot. 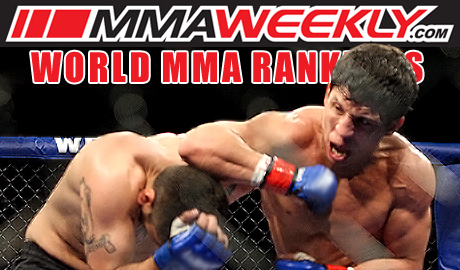 The latest MMAWeekly.com World MMA Rankings are out and Renan Barão and Carlos Condit are working their ways to the top. 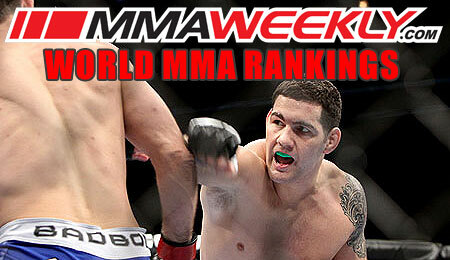 Chris Weidman upset Demian Maia at UFC on Fox 2, propelling him into the middleweight division of the MMAWeekly.com World MMA Rankings. 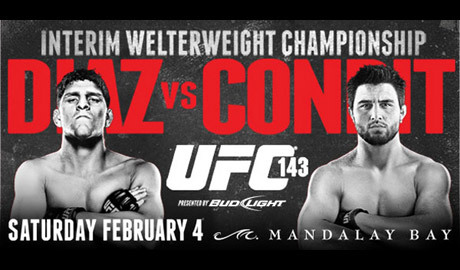 Fight fans already in Sin City, or headed there, have a plethora of free events to attend leading up to Saturday's UFC 143: Diaz vs.
Now that Gina Carano is exploring her new career in Hollywood, is Strikeforce bantamweight contender Ronda Rousey already the new face of women's MMA? 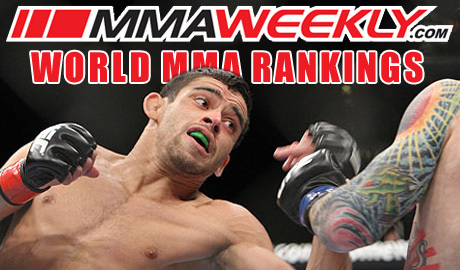 Vitor Belfort and Rousimar Palhares, with impressive performances at UFC 142 Rio, staked their claims in the MMAWeekly.com World MMA Rankings. 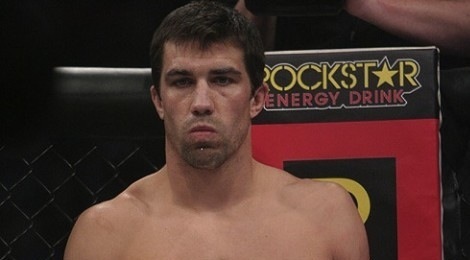 The Strikeforce main card appears almost set for March 3 in Ohio after the promotion announced two more major bouts on Saturday night. A possible No. 1 contender's bout is on deck for the upcoming Strikeforce show in March as former champion Sarah Kaufman will meet Alexis Davis. 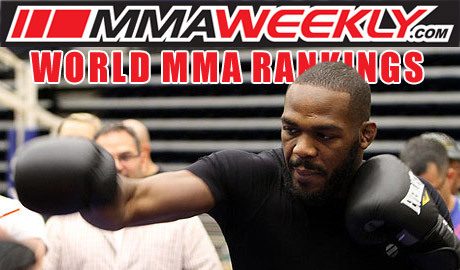 Johny Hendricks not only sent Jon Fitch crashing to the canvas at UFC 141 on Friday night, he also crashed into the Top 10 rankings!